Týr vocalist / guitarist Heri Joensen comments: “In early January, immediately after spending our holidays in the Faroes, Gunnar and I traveled to Hungary to our bandmates, Tadeusz and Attila, in Budapest. Finally, it was time to shoot another video, our first since 2014, and we’re very happy to present this one to you! “The Hungarian film production crew, Mihaszna Film, arranged the trips, starting from Budapest and going first to the Julian alps in Slovenia. In the fields and rivers of the snowy mountains we had some amazing scenery for ‘overworld’ part of the video. A few days later we traveled on to the caves of Szent-István in northern Hungary, and deep underground we found some dark and gloomy caves to be the perfect backdrop for the underworld part of this video. “Terji wrote ‘Sunset Shore’, for our upcoming album, ‘Hel’ – to be relased on March 8th, and he plays the solo on the album version, but not in this video. We decided it was the perfect opportunity to introduce you all to the amazing talent of Attila Vörös, who recorded his own version of the solo a few days before the video shooting. The lyrics, written by me, are about how the mind can sometimes be a windswept and weatherworn landscape, and how the only thing to do, in spite of hopelessness and despair, is to aim for a better place and to work towards better times. Known for their prolific nature – dropping their first five full-lengths in the space of just seven years – the six-year gap between Valkyrja (2013) and Hel is by far the longest between any two of their records. During that period the band toured hard, taking the album around the world, including a support run with Children Of Bodom in North America and an appearance on the 70,000 Tons Of Metal cruise. However, other factors played into this extended break between releases. “We approached this one differently because I learned that if I continue doing albums in the way we had up to now, I would die from a heart attack before I’m 50!” says guitarist/vocalist Heri Joensen. “That’s one of the reasons we changed our method and took such a long time on this one.” That this tactic has been beneficial is borne out in the finished product, which is perhaps more immersive than those that came before. “Musically it leans a bit towards our album, ‘Ragnarok‘ (2005),” states Thomsen. 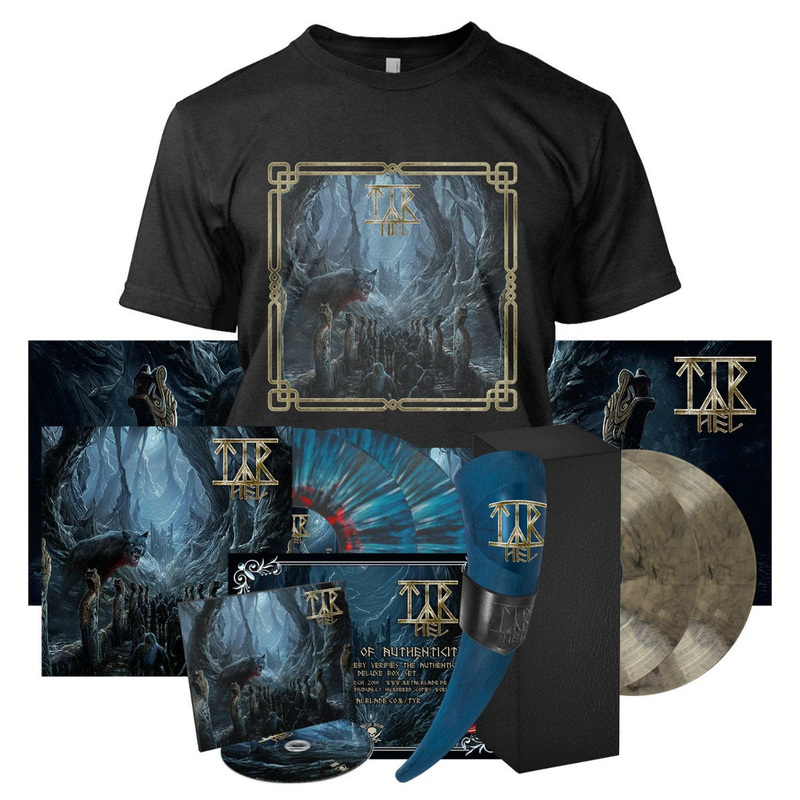 “It’s a bit more epic and also much better worked through than any of our previous albums.” It also marks the recording debut of drummer Tadeusz Rieckmann, who has manned the drum throne for Tyr‘s live shows since 2016.